Today is the Transgender Day of Remembrance, a yearly assembly of vigils hosted around the world to mourn all of the lives lost to anti-transgender violence, both in the given year and throughout history. Gwendolyn Smith began TDOR in 1998 in memory of Rita Hester, a black trans woman widely known in her Massachusetts LGBT community who had been brutally stabbed to death. Hester’s murder was never solved, but her life hasn’t been forgotten. Neither have those of the other trans people who have been killed simply because they were trans. And so, for the last two decades, people have gathered on November 20 at churches, schools, parks and LGBT centers to commemorate the lives of all the trans and gender-nonconforming people lost. The disproportionate violence means survivors have to be resilient and their communities strong in order to develop leaders who will continue to fight on behalf of queer people even when that fight feels insurmountable. One of these leaders is Flawless Sabrina, who died this weekend of natural causes. While her life wasn’t lost to the kind of violence TDOR is intended to highlight, the timing of her passing is fitting. Her life story is one of great achievement despite discrimination. She will be remembered as a gender expression rebel and entrepreneur who employed, mentored and championed queer Americans since the 1960s. Decades later, when Hillary Clinton was Secretary of State, she called on Sabrina to help legislate reforms that ensured trans people could change (meaning, affirm) their gender on their U.S. passports. When Bruce Weber shot a 2013 Barneys campaign featuring trans models, an unprecedented project in the merchandising world, Sabrina was on set. The following year, she gave tarot readings as part of the Whitney Biennial, participating with generations of queer artists who looked up to her and her work. And when Vogue profiled Chelsea Manning in the September last year after her release from jail, the author made note of Sabrina as one of the friends waiting for Manning at one of the oldest gay bars in New York City. All of these successes took perseverance. She was arrested more than 100 times because it was still illegal for people assigned male at birth to wear women’s clothing for much of her life. In order to become a more involved political activist, she handled her history of felony, but the very existence of these “crimes” shows the kind of weaponized ignorance she had to deal with for simply being herself. In terms of who that was, she generally resented labels. 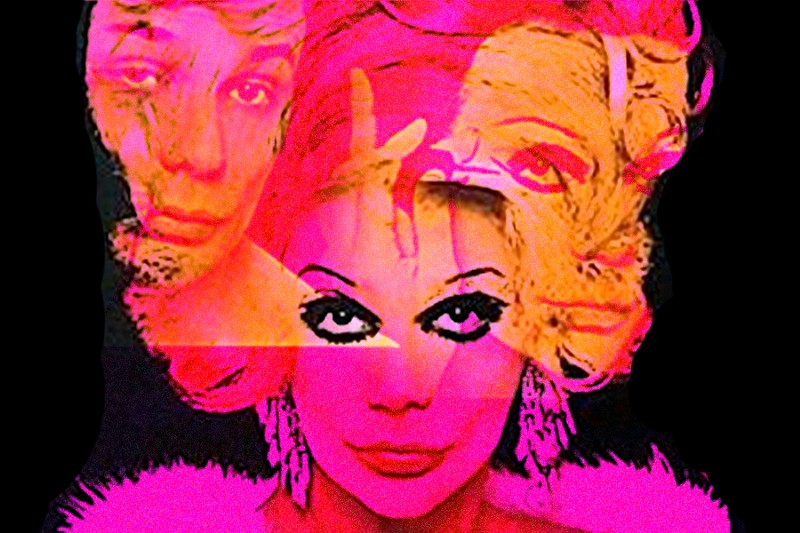 And while she’s most often talked about as a drag icon, her decades of work for the trans community have inspired some of its best leaders, including the producer Zackary Drucker and journalist Diana Tourjee, who, in collaboration with Sabrina in recent years, founded the Flawless Sabrina Archive to preserve her art and history for future generations. I don’t want to conflate the legacy of drag queens with that of trans women, a misunderstanding that contributes to violence against trans women, but Sabrina was a queer femme who existed in between and everywhere, toggling identities and acting in favor of queers of all types. Most of all, she inspired us to live radically as who we are no matter what the social or political costs; to affirm ourselves as the true arbitrators of our own morals while existing in a corrupt society with tons of rules; and to support other queers, outsiders and weirdos until our bodies, lifestyles and interests are accepted as just as “normal” as anyone else’s. For trans people, elders like Sabrina embody a type of history that can somehow sublimate the fear of existence into the joy of resistance, and until the rampant violence against trans and gender nonconforming bodies, we need to educate and exalt about as many of these elders, who are often times little known in mainstream discourse, as possible. Queer icons dying at an old age is sad, but encouraging. I feel privileged to be able to celebrate their fight! RIP Flawless Sabrina. Sometimes moms don’t know they are moms because life is hard and they don’t get to know how important they were to young folk who were scared.